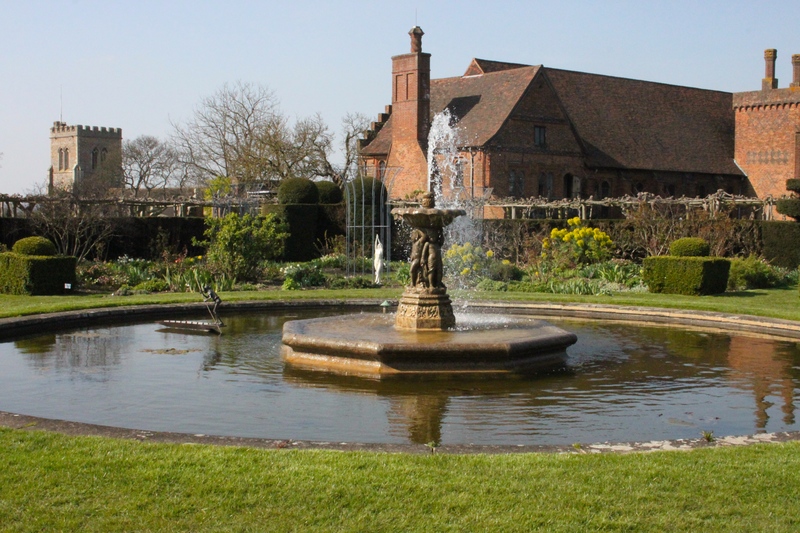 On Saturday in glorious sunshine I made a visit to Hatfield House in Hatfield Hertfordshire, where most of the garden was open in aid of the National Garden Scheme. The NGS is a charity raising funds for specific Nursing and Caring charities through the opening of hundreds of small and large private gardens throughout the country. Born from an idea in 1926 to raise funds to support and train nurses, since then the NGS has donated nearly 43 million pounds including in the past ten years 23 million pounds to these charities, Macmillan Cancer support, Marie Curie Cancer care, Help the Hospices, Carers Trust, The Queens Nursing Institute, Perennial (Gardeners Royal Benevolent Society) and from 2010 an annual guest charity, for 2014 it is Parkinsons UK. Additionally small gardens have given over 4 million pounds directly to local charities of their choice. 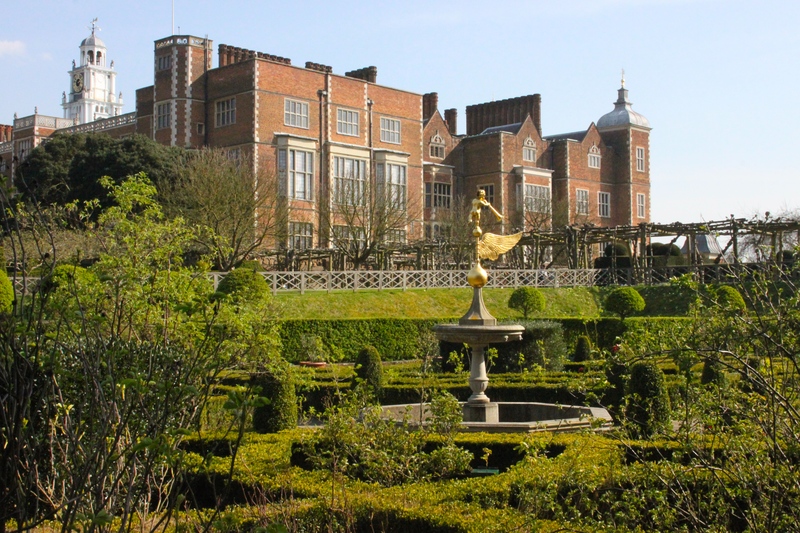 Hatfield House is the Jacobean home of the Marquess and Marchioness of Salisbury, Lady Salisbury manages the gardens together with a small team of gardeners. 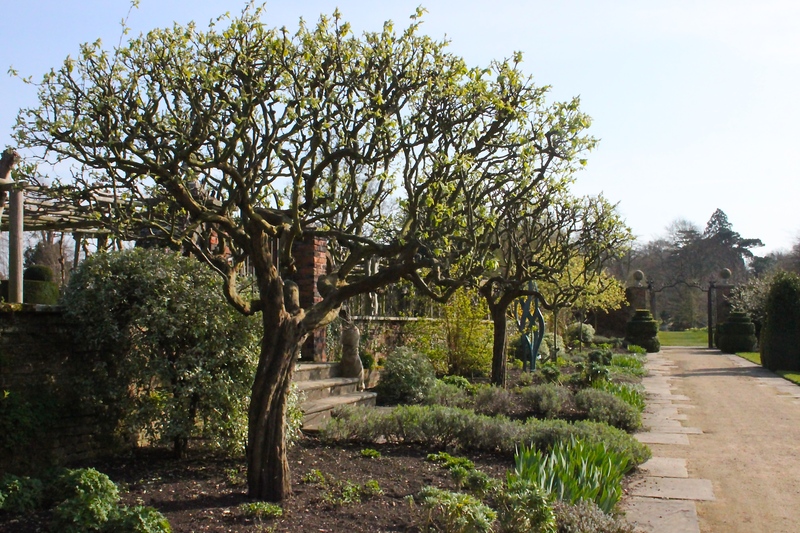 The garden open only on Saturday in aid of NGS will be fully open to the public from April 5th until September 28th 2014. Elizabeth the 1st is said to have received the news of her accession at Hatfield House and an Oak has been planted on the spot, I did not find that Oak on Saturday but would like to when I visit again. The Pleached Lime walk, when in leaf must be a magnificent sight, pruned and ready to go in late March it was still beautiful. The borders were stirring and showing signs of the promise to come. 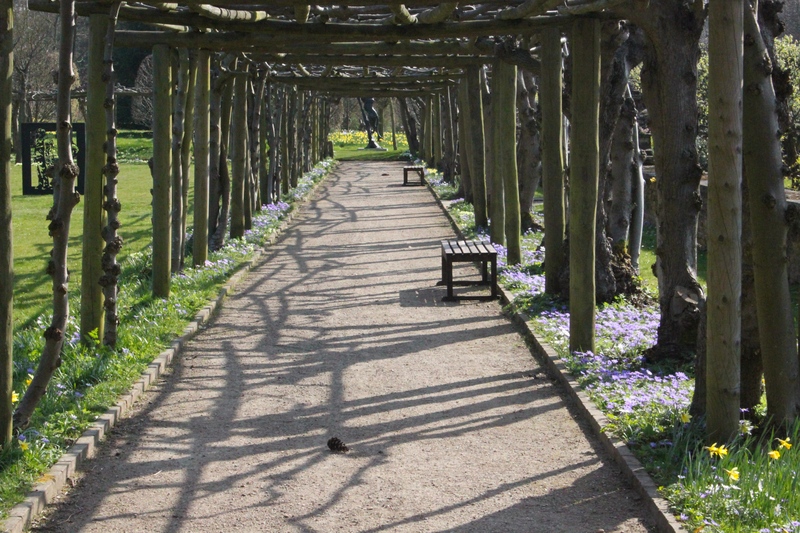 The path leads through to the Woodland Garden, which on Saturday was the star of the show. 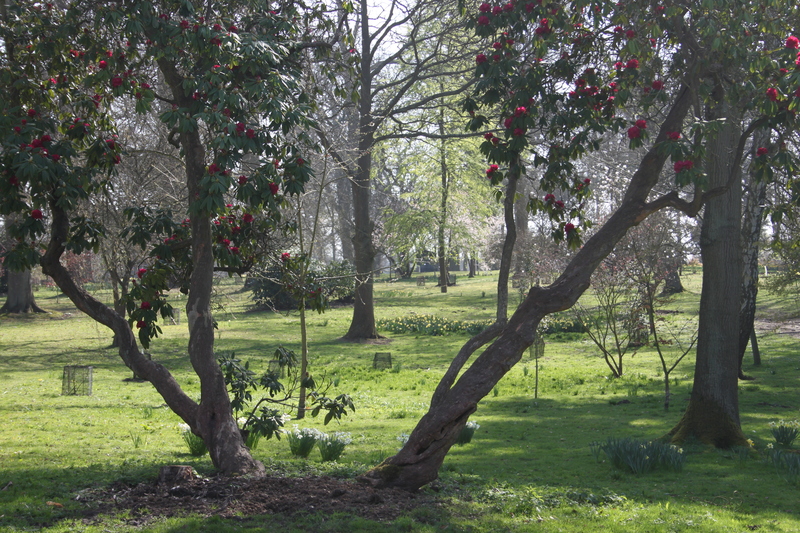 When the garden opens fully, the East Garden is open only on a Wednesday and is on the private side of Hatfield House. The West garden surrounded by the Pleached Lime Walk. In the Spring the woodland garden has lots of bluebells which were not yet out but in a few weeks I expect it will be a gorgeous sight. 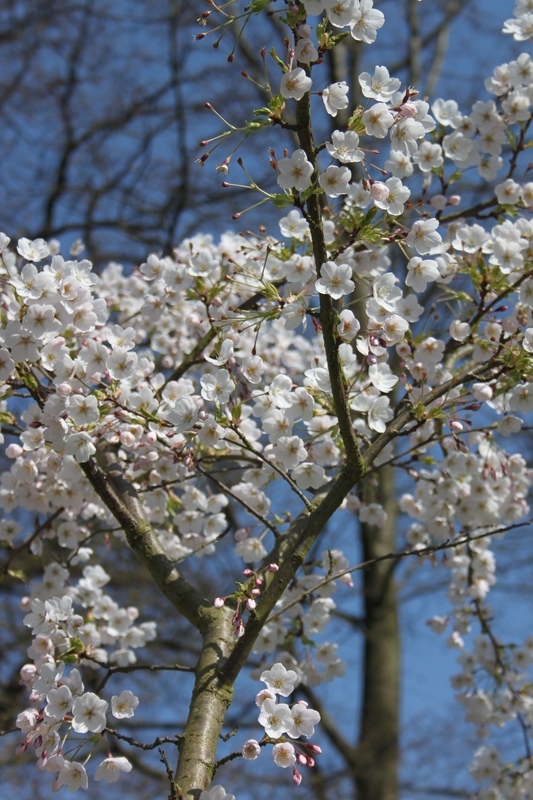 Prunus Yedoensis in the Woodland garden, I wasn’t the only one enjoying the blossom. 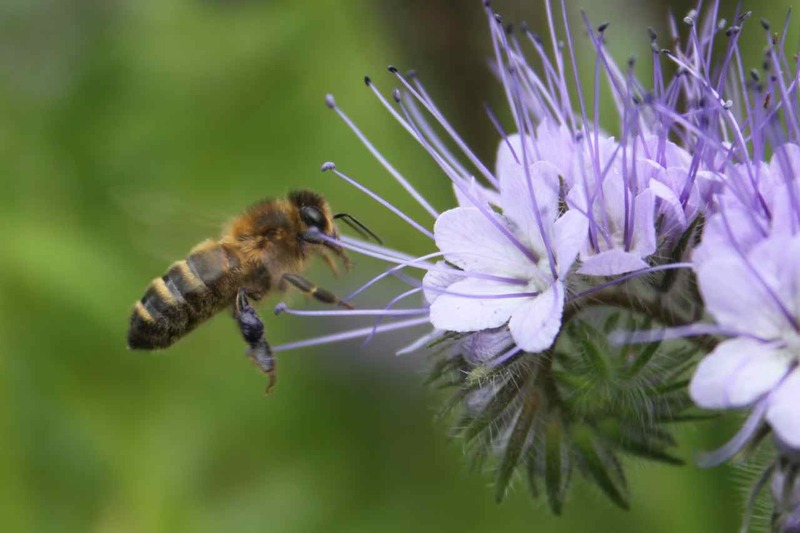 The bee took me by surprise, I had my head right in the middle of the blossom, studying the stamens. Independent to the gardens but adjoined are the very civilised looking Stable yard shops and Coach House restaurant, I can’t vouch for their tea, it was so warm I was on bottles of water, but it was packed with visitors so guessing it was good. Really like that expansive drift of daffodils. Me too, a lot of the garden was fairly dormant still but the daffodils in 20c degree spring sunshine were lovely! 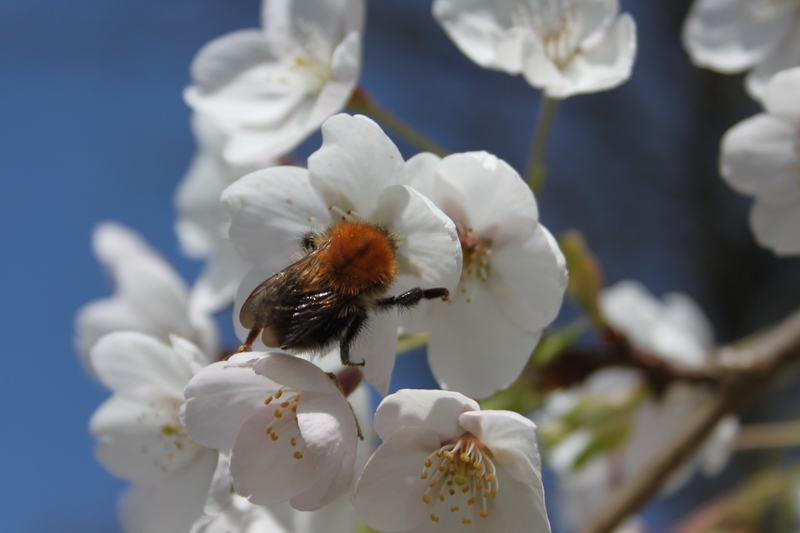 Love that blossom – several neighbours have cherry trees in full bloom now and the scent all through the village is wonderful! Cathy that sounds really lovely, your village must look really beautiful too. I looked that particular one up and it says fragrant but did not notice on Saturday. Such a great garden to visit on a warm Spring day. It looks as lovely as I remember it. Thanks I will have to go back. The NGS struck very lucky with the weather, the bluebells were not yet out but the primroses, anemones and daffodils were lovely. How beautiful! 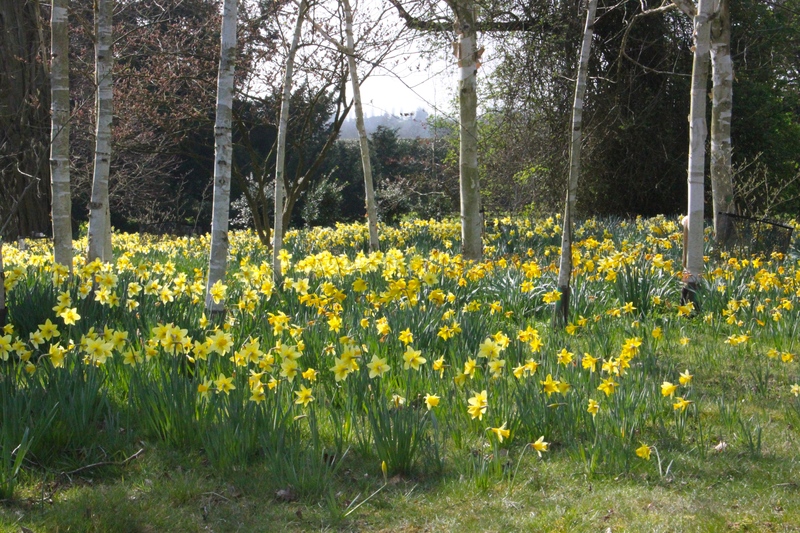 I’ve never been there – gorgeous display of daffs! I would like to go back and see the East garden too, its only open on a Wednesday. The Daffs seem to have been especially good this year.